To follow up on the L.A. Times article on awards season etiquette, I thought I'd mention some of my other acceptance speech tips that didn't make it into the article. Of course, there's never enough room to include all the quotes, but that's what this blog is for, right? Here are a few more things I would say to the nominees as they're preparing for their big night. If you want to keep it together onstage no matter how emotional you become, you'll need to practice. There are those who believe an actor, who's trained to memorize a script, shouldn't ever use notes. I won't go so far as to say you shouldn't use notes, because if that helps you feel comfortable when you win the award, then by all means do what you need to do. We already know you can act. You don't have to prove anything. But this doesn't mean you don't practice. Some reasons for practicing: To remember critical people you want to thank; to remember any stories or quotes you want to use; and to make sure you stay within the time limit. And a note about that. If you practice your speech at home and it goes the full 45 seconds, it's too long. In the heat of the moment, once you get on stage in front of an audience, your speech will likely take longer to start and longer to finish. And award winners at the beginning of the evening tend to get a little more freedom than those toward the end when the show is running over. So give yourself a little time cushion while practicing and you won't get played off by the orchestra! When nominees are mentioned before the award is given, oftentimes actors start to freak out. They look away, they nervously talk to their neighbor, they mug for the camera, pretend fake surprise or roll their eyes. Be cool. Smile, nod graciously, and accept the compliment of the nomination. You may feel uncomfortable, but this is your moment to show your stature as a respected member of your community and profession. Live up to it! It's a nervewracking experience (I can only imagine), sitting in the audience, waiting to find out if you've won the award you were nominated for. In the swirl of emotions, applause, music, kisses, hugs, and just finding your way to the stage without tripping on your dress, it's easy to become overwhelmed by the moment. Once you reach the stage, take a few seconds to breathe, smile, make eye contact with a few people, feel your feet on the ground, relax your knees and your shoulders, wait for the applause to die down... and THEN begin your speech. It only takes a few seconds, but it could be the difference between fumbling and stumbling blindly through your words and the eloquent, articulate delivery you so carefully prepared. You might even remember what you said. Time and again, award-winning, trained, experienced actors, singers and musicians (and other celebrities with less training and experience) stand up on the award show stage and blurt out, "I'm so nervous!" or "I'm terrible at speeches." I know they're trying to get the audience's sympathy. I know they're trying to get rid of some jitters by acknowledging their nervousness. But besides the fact that they are drawing attention to something the audience wouldn't notice anyway, they are wasting precious seconds as the time ticks by. With only 45 seconds or so for an acceptance speech, you don't want to waste any time with nonsense that no one cares about. Some of my favorite speeches from awards shows are the ones that incorporate humor, such as Jane Lynch's, "I'm nothing if not falsely humble," and Tina Fey's, "I want to thank my parents for somehow raising me to have confidence that is disproportionate with my looks and abilities." James Spader tickled my funny bone with, "I feel like I just stole a pile of money from the mob, and they're all sitting right over there," (referring to his win for best actor in a drama series over "The Sopranos" James Gandolfini). And Jon Cryer's speech included a little twist on awards show humility: "I used to think that awards were just tokens of momentary popularity. But now I realize they are the only true measure of a person's real worth as a human being. So, thank you." There's no need to yuk it up, but a short, sweet humorous line warms up the audience and brings an element of surprise to the typically predictable acceptance speech. I know this sounds like a cliché, but the audience loves nothing more than a sincere, emotionally-driven speech. When a celebrity comes across as real and human, it helps the audience relate to them and like them -- which can't hurt in ticket sales. A tear or two is even better. America Ferrara brought audience members to tears with her humble and moving speech that included this statement, "It's such an honor to play a role that I hear from young girls on a daily basis how it makes them feel worthy and lovable and they have more to offer the world than they thought." Jeff Probst actually managed to include a quote in his speech when he said, "I also want to share this with anybody who has a dream, because I am living my dream right here in this moment. If you have a dream, dream big; pursue it with a passion. In the words of the great storyteller Joseph Campbell, 'The adventure you're ready for is the one you get.' Life is short -- go for it!" I was quoted on this in the L.A. Times article, and I wanted to expand just a bit. When award winners start thanking a long list of people that the movie-going public has never heard of, we get bored. Our eyes glaze over. We yawn. Now you may feel that, politically, you will earn brownie points for mentioning these important names, so feel free to include a couple. But don't forget: Your audience is not just the few hundred Hollywood insiders inside the Kodak Theater. Your audience includes the millions of fans who pay to see your movies or buy your music. Do you really want to ignore them? You may thank said fans (which we always enjoy, unless it sounds insincere), or you may just give them something to sink their teeth into, like the emotional or humorous stories as mentioned above. You may even decide to thank some invisible (to us) crew members like hairdressers and wardrobe people, if they really impacted your experience making the record, film or TV show. What's important is to give sincere gratitude to people who have truly influenced and paved the way for your accomplishments. Don't throw away this moment on a grocery list. 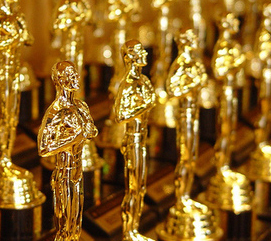 Apparently, many nominees are superstitious, and believe that preparing and practicing an acceptance speech will jinx them and cause them to lose out. If you are one of these, I don't understand how preparing will make you lose, but listen up: You should still prepare something. I know "it's an honor just to be nominated," but if winning the award is important and meaningful to you, show your audience and fans how you really feel. Be real, be sincere, and (try to) have a good time. Now go get 'em, tiger!